In the early 90’s I began studying with shamanic practitioners. At first, I worked with well-known shamanic teachers Michael Harner Ph.D. and Sandra Ingerman M.A. 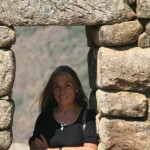 as well as other excellent teachers associated with the Foundation for Shamanic Studies. These early classes were a breath of fresh air for me, a way of balancing out my energies after 25 years of advanced Vedic meditation practices, group and individual, two to six hours a day. I also began “vision questing” (4 days and nights, fasting alone in remote wilderness); at first with members of the Bear Tribe and later with the School of Lost Borders. In 1997, I traveled for the first time to Peru to work with Augustin Rivas, a jungle shaman and well know Amazonian ayahuascero. At the end of that trip, I also spent a few days on the Island of the Sun in Lake Titicaca where I was introduced to the visionary medicine known as San Pedro or Huachuma. Chaski and his apprentices prepared a powerful brew; magical healings took place that night and began, for me, a fascination with the ancient healing traditions and cosmologies of this land. The next year, I went to India. I hoped for a deeper sense of the origins of my meditation practice and the Vedic tradition from which it evolved. Something in me yearned to understand the roots of what I had been involved in for years. When the plane landed in Delhi, I knew I was home. Everything I saw, even the utter destitute poverty of some of the people, felt familiar. As we ascended the Ganges from Rishikesh to Uttarkashi in a small cramped taxi, I felt increasingly in tune with the rural landscape. Our driver stopped at an open air market to purchase groceries which he piled on our laps in the back seat. “For Nonimai” he said. She was a revered, impoverished nun who ran a small ashram in Uttarkashi where we would stay for several days. She received the fresh vegetables and fruits with gratitude; a few days later, she gave us clean rags to take with us to Gangotri where we would then walk for 2 days to Shivaling, whose glacier was the source of the Ganges. The rags, she said, were to be given to the beggars near Gangotri. They would patch their tents and clothes with them. Thus began my lessons in generosity and reciprocity, foundational qualities in earth-based communal shamanic cultures. A week later, as we attempted to find a place to camp in the huge boulders at the base of the glacier, an old Sadhu emerged and offered us tea. His tent was well hidden amidst the rocks. He explained he was camping illegally here but he needed to bathe daily at the spot where the Ganges emerged from the glacier; this was a necessary part of maintaining his spiritual connection to Mother Ganga and Shivaling the 22,000 foot mountain towering above us. He had his students set up a tent nearby so we could roll out our sleeping bags and sleep undetected by the government agents. In the morning, we joined the other pilgrims for full immersion in the Mother of Rivers. Slipping into a long Indian-style petticoat, I dashed into the icy water. As I surfaced for air, I felt the profound energy of Mother Ganga entering my body. Breathless and somewhat stunned, I knew I had experienced a direct initiation by this great Spirit, revered throughout India for her enlightenment-bestowing powers. I watched as many elderly women in colorful saris entered the holy waters. They had walked 2 days in flip flops at 15,000 feet elevation to receive the blessings of Mother Ganga. As unlikely as it may seem, the trip to India created a powerful opening for further shamanic studies, especially in Peru. I began to understand that earth-based traditions formed the roots of the more transcendent Vedic philosophies and practices. The Vedas are embedded in the land, in the holy rivers, in the sacred mountains of India. The people build small shrines to the spirits (devas) of the boulders, the old trees, and streams and larger shrines and temples for the deities. Though the meditation practices are transcendent, the people themselves have never abandoned their connection with Mother Earth, nor the qualities of generosity and reciprocity that are embedded in the old earth-based cultures. 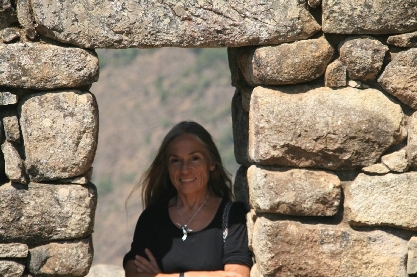 A few years later during a trek on the Inca Trail to Macchu Picchu, I heard a story of how a great Feminine Deity had recently moved from the Himalayas to the Peruvian Andes. This Holy Being now resides permanently in Peru, enlivening the mystical traditions of this part of the world. During this trip, I also met two high mountain shamans and participated in some ceremonies typical of the highlands. I learned that many of the Paqos (healers and shamans) of this region had begun initiating Western students into the Andean Spiritual Cosmology long ago, a prediction was made, which stated that as the Earth approached the time of the Great Turning (changing of the ages in 2012) many modern people would need to know these mystical ways in order to help their own people come back into alignment with Mother Earth and stop war and environmental destruction. Thus, Andean Paqos understood it was their duty to teach their brothers and sisters from the North. In 2007 I returned to the Andes to begin my studies seriously. Since then, I have traveled there many times to work with some of the best medicine people and healers on the Planet. I am forever indebted to my maestros who share everything they know, generously and in Ayni (reciprocity), so that our children and grandchildren everywhere can inherit a green, loving, and joyful world. Thank you Jose Luis Herrera, Puma Quispe, Adolfo Titto Condori, Dona Bernadina, Don Francisco, Don Sebastian, , Clemente, Climaco, and your lovely families and helpers. Thank you for inviting us wholeheartedly into your Ayllus (extended families) and your hearts. Thank you for entrusting us with this sacred knowledge that we may, in turn, offer something worthwhile to our communities and families to ensure a peaceful and balanced future.